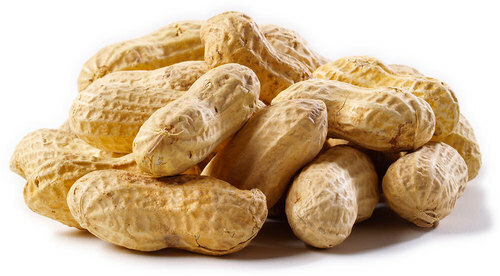 Groundnuts, also known as peanuts or monkey nuts are the small nut may be called a nutlet. Groundnut may refer to the seeds that ripen underground, of the following plants, all in the Faboideae subfamily of the legumes. They are among the cheapest nuts, available abundantly all over the world and considered a very healthy snack. Being small in size it plays a vital nutritional role and contains amazing health benefits. 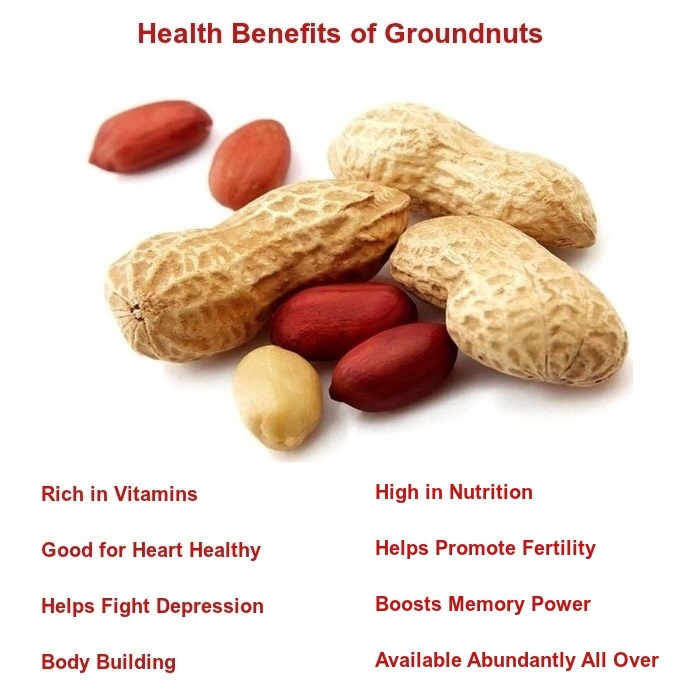 Let’s see amazing health benefits of Groundnuts. unsaturated and monounsaturated fats including linoleic acid and linolenic acid, vitamins, and essential amino acids. Many nuts are good sources of vitamin E, vitamin B2, folate, fiber, and the essential minerals magnesium, phosphorus, potassium, copper, and selenium. Groundnuts contain a lot of fats. However, these fats are very healthy for the heart. They contain both monounsaturated and polyunsaturated fats which are both good for maintaining the health of the cardiovascular system. They help prevent cholesterol and plaque build up in the arteries, therefore reducing the risk of coronary heart disease. Groundnuts contain five important nutrients namely food energy, protein, phosphorous, thiamin, and niacin. It maintains and repairs body tissues. Being rich in proteins, the enzymes work properly and helps in digestion to produce amino acids which form the building blocks of all cellular material. Proteins are required for the healthy functioning of the endocrine glands. They also assist in growth and development of the body. functioning and boosting memory power. Groundnuts contain 13 different vitamins (including Vitamin A, B, C and E) along with 26 essential trace minerals, including calcium and iron.